«Far more dangerous than any virus» illustrated quotation. Vegan, free quote pictures for Facebook, Twitter, LinkedIn, Reddit, Pinterest and other social networks. 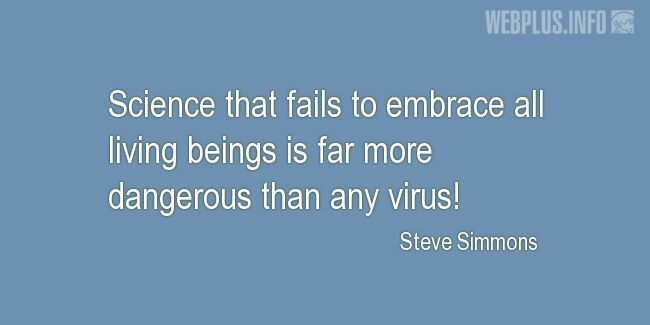 Science that fails to embrace all living beings is far more dangerous than any virus!